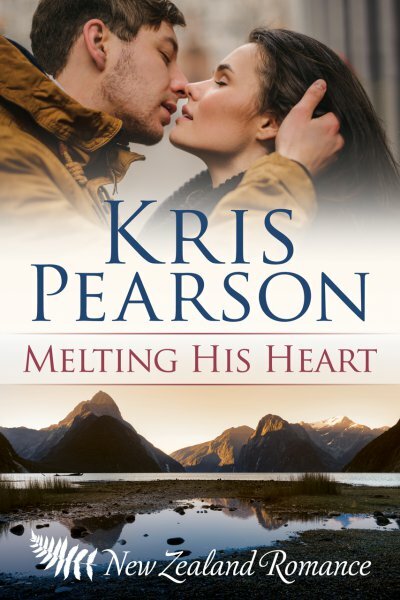 Melting His Heart – a passionate story of misplaced trust, set in the alpine resort of Queenstown. Is Kate spying for her famous father? 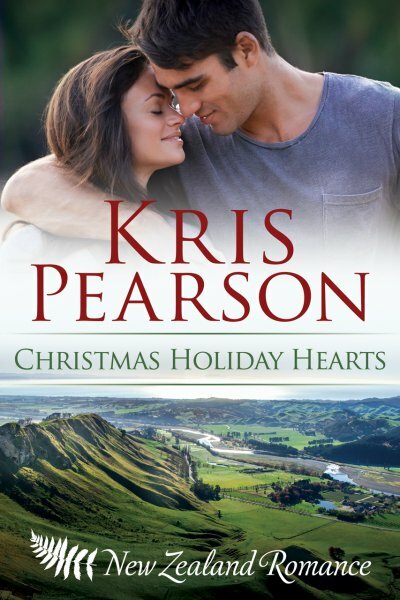 Cowboy Wants Her Heart – Ellie’s shy friend Alfie is expected to marry brash cowboy Rory to save her inheritance of Glenleighton Estate. 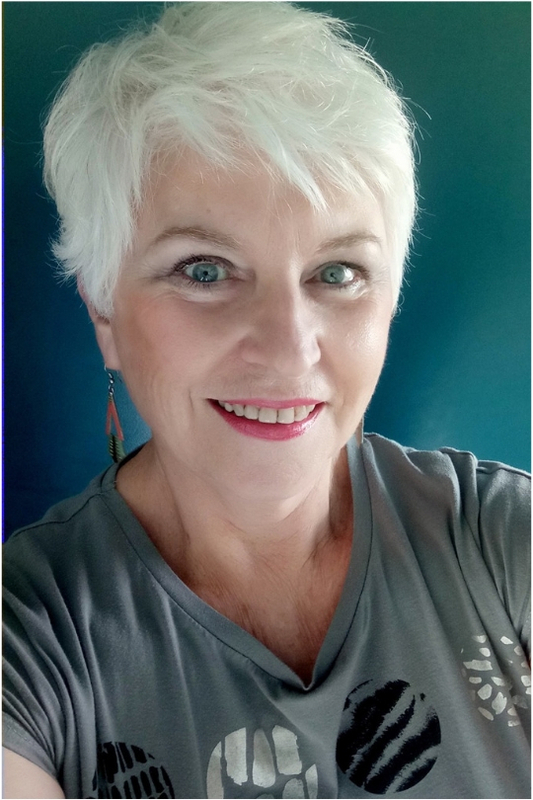 Read the free samples by going to the individual book pages - just click these covers. 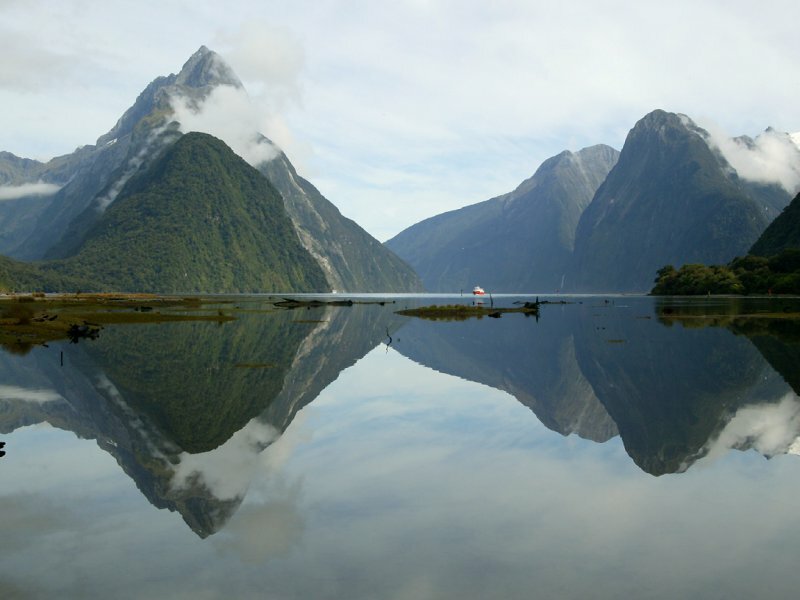 Milford Sound and Mitre Peak - where Matthew took Kate out on Bob's boat. That's one of the 'big' tourist boats you can see in the distance. This drowned glacial valley is hugely deep. I couldn't resist putting another shot of it on the new cover of 'Melting Her Heart'. 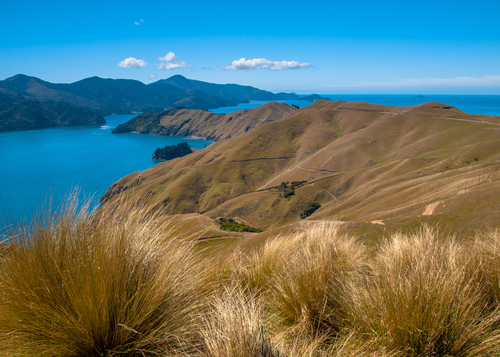 The hill country of the east coast of New Zealand's North Island. Tony and Ellie (Wharemoana), and Alfie and Rory (Glenleighton), both live further down toward the sea. 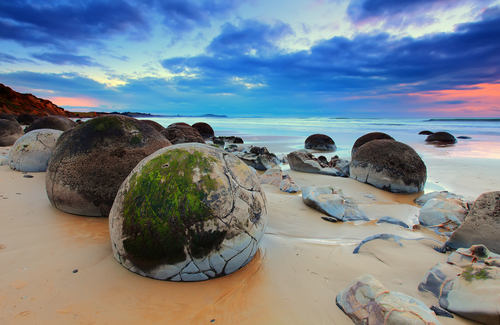 The amazing Moeraki Boulders on the east coast of our South Island. They fall out of the cliff entirely spherical and very slowly dissolve. Often as tall as a man! You'll find links to buy this book under the cover pic, top right of the page.